Have you ever had the opportunity to be able to use your own ride at the fair? 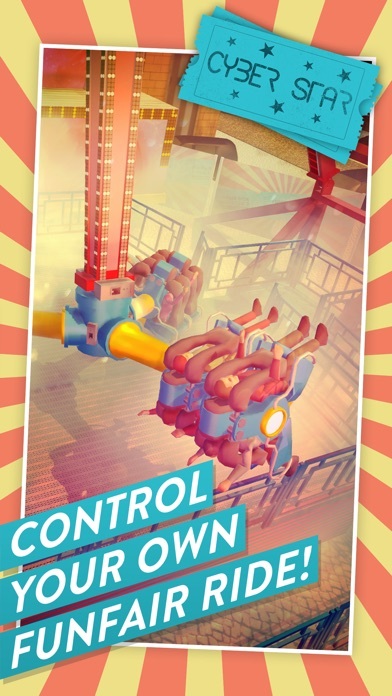 Probably not ... Now you can experience this on your smartphone or tablet with the new Funfair Ride Simulator 3. Now with even more realistic and better HD graphics, new features and a simulated fairground! Control and marvel at some of the most breathtaking rides that can be found on the fairgrounds around the world. Watch how visitors buy tickets and seat in your ride. Choose your lighting and sound effects, or simply sit yourself in one of the gondolas and experience your very own ride! On day or at night - you decide! 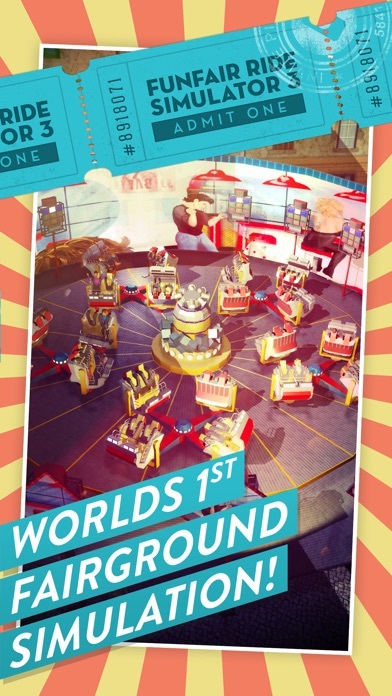 The app includes two unique rides ("Kraken" and "Cyber Star"). 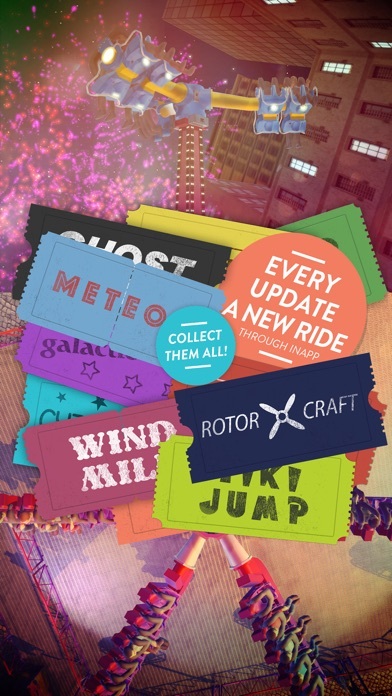 Further rides available: "Gold Mine", "Galactic Race", "Vodoo Swing", "Flying Zeppelin", "Ghost Spin", "Windmill", "Rotorcraft" and "Tiki Jump" and many more. In addition, we provide new rides in every update (by InApp). 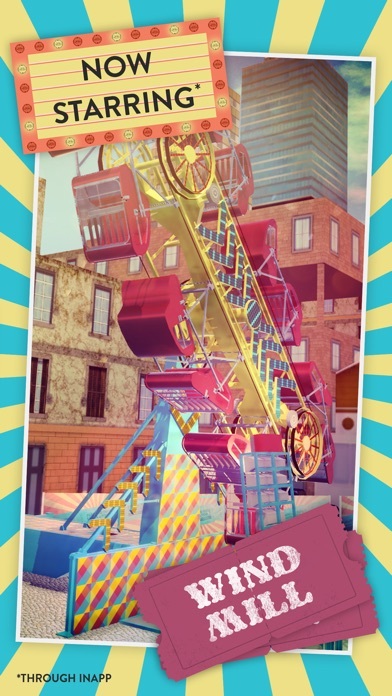 The Funfair Ride Simulator is the world's first and only funfair ride simulation on your Smartphone! Operate your own ride! Control the speed, the lighting and sound effects, and much more. The new version of the ride simulator is more realistic than ever! 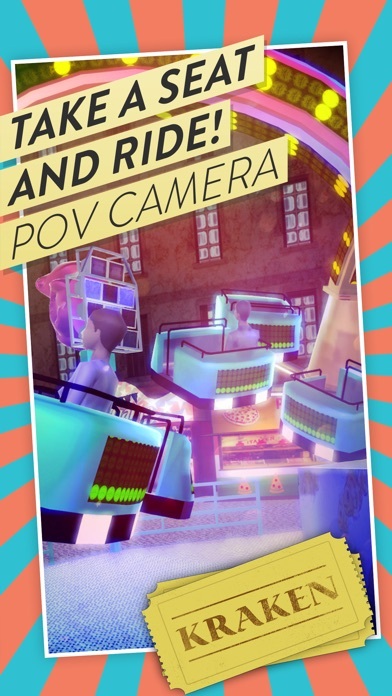 Take a seat in your own ride and enjoy together with your virtual visitors the ride in 3D, with stunning graphics! Experience a unique atmosphere created by the changing light, fog lights and sound effects! We also have added many new graphical improvements in Funfair Ride Simulator 3: Highly detailed 3D models, real-time shadows, hand drawn back walls, Ambient Occlusion and much more - experience it yourself! Unlock a variety of achievements and compete with your friends and other players in the leaderboard. Who carries the most passengers? Who is the most successful carny? NOTE: In order to use all graphic features, we recommend at least an iPhone 6. Weaker devices are supported, but some effects may need to be turned off.